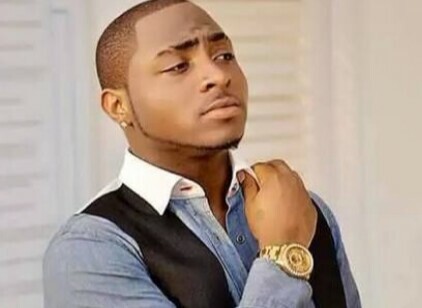 A report trending online, has revealed that popular music act, Davido has been dragged into a messy fight among cultists in South Africa. 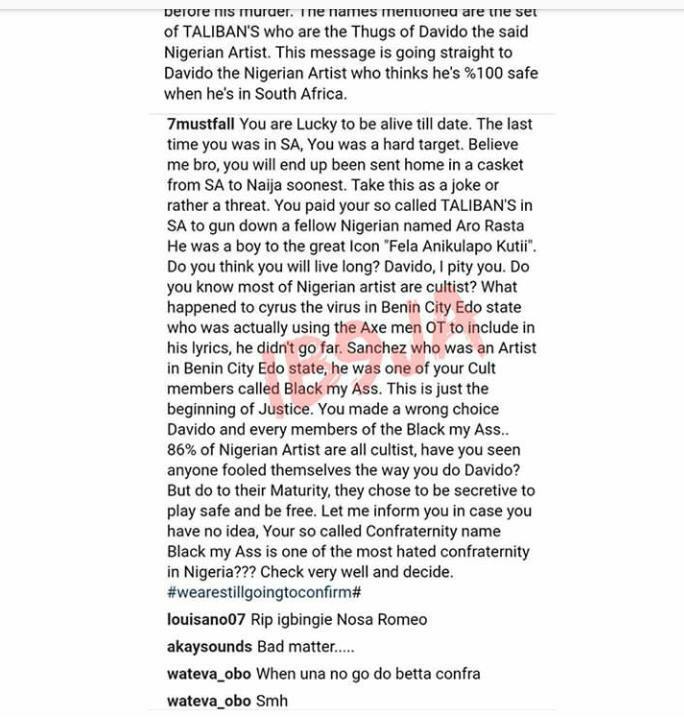 The report also suggests that Davido’s life is in danger. 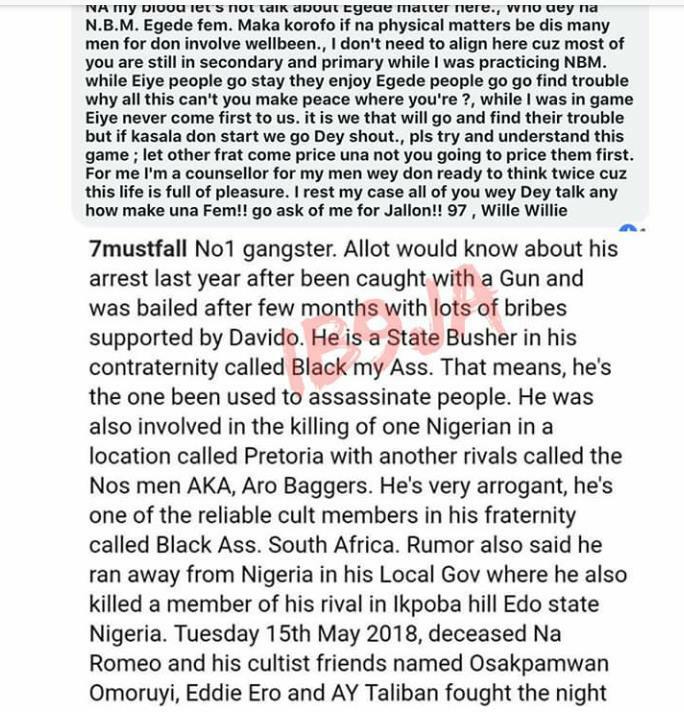 The “assurance” crooner who is currently in Amsterdam was accused of being involved with cultists belonging to the Black Axe crew and having a group of people called Talibans who do his dirty jobs for him. 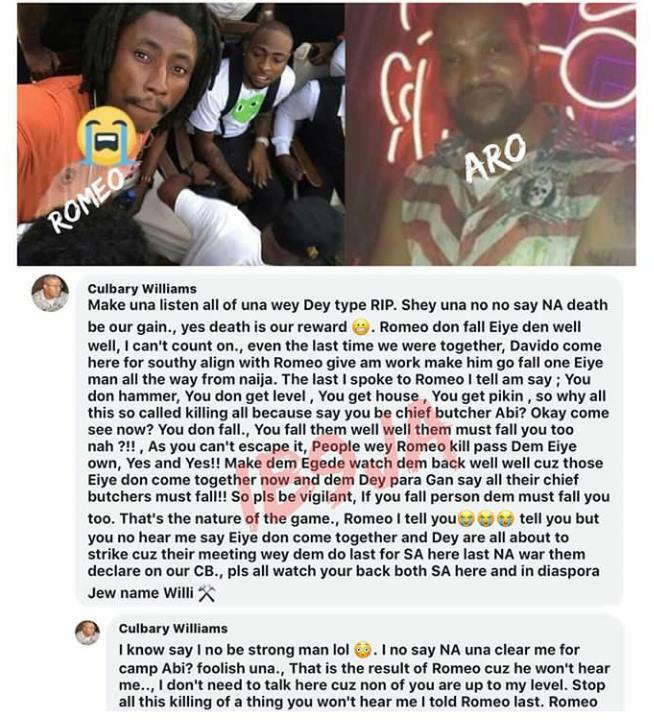 The father of two was also warned to stay away from South Africa as he is a hard target there except he wants to be sent home in a casket.